Apple Books is now offering six free audiobooks, read by celebrity narrators. All six books are public domain works. Although Apple offers audiobooks for sale in the Apple Books store, each title is expensive, and hard to discover. 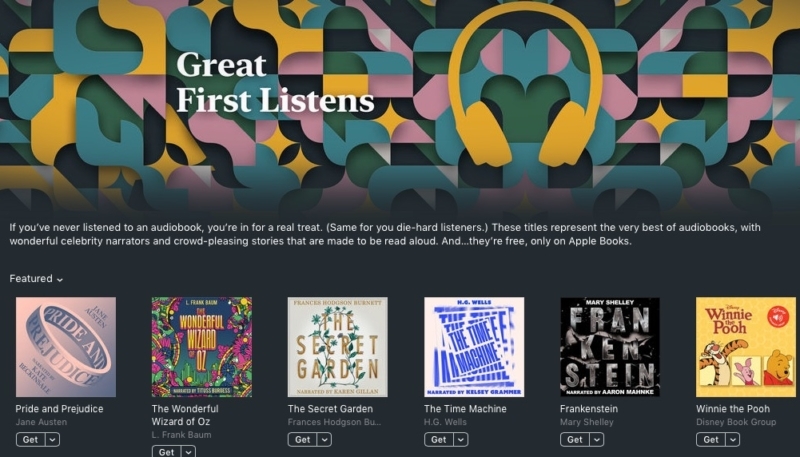 Apple recently revamped its Books app alongside the release of iOS 12, and hired an ex-Audible SVP to run the Books division, indicating it may be planning to take a run at competitor Audible, which dominates the audio books market.